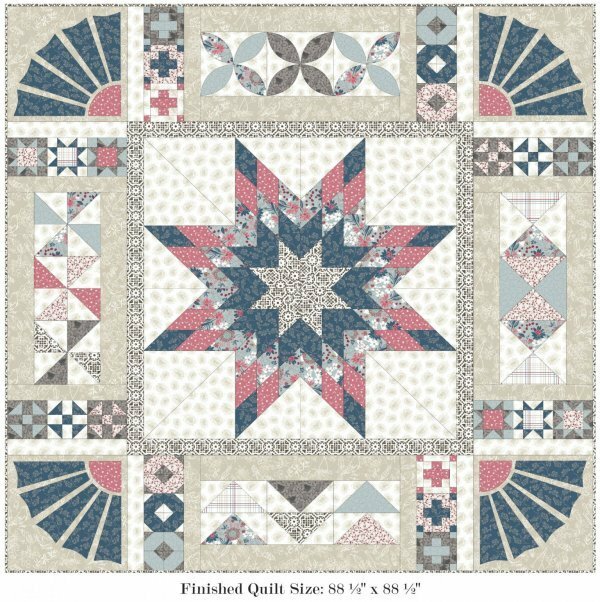 Block of the Month > Farmhouse BOM - 6 month - 88.5" x 88.5"
Farmhouse Block of the Month by 3 Wishes. The Farmhouse BOM by 3 Wishes is a 10-month block of the month, however I am offering it over a 6-month period instead of 10. The amount you are paying today is the first month's fee. You are agreeing to receive monthly shipments at $ 40 per month for the next 9 months. The first kit will ship or be available for pickup April 15 or sooner. Each remaining kit will ship the middle of each month, May-Sept. If you are not able to pick-up in store, shipping is extra and will be billed at actual cost. Tax not included.